Is it safe to eat apples picked off city trees? Wellesley College student Ciaran Gallagher checks the lead content in an apple tree in Cambridge. 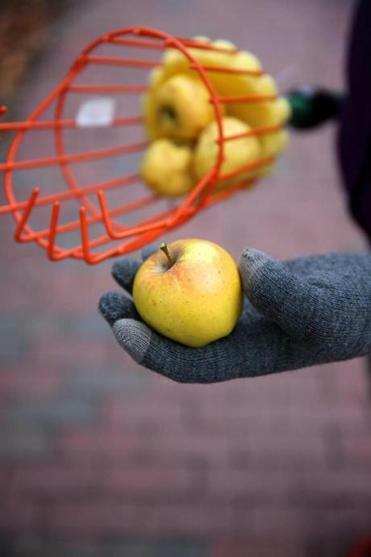 On a recent brisk day as a cool breeze stirred up sidewalk leaves, Amy Jarvis pulled a few apples from her bag and handed them to Wellesley College geoscience professor Dan Brabander and two of his students. She’d just picked up the Red Delicious in Central Square, Cambridge, not far from where she was meeting the Wellesley researchers. They were bright and shiny and juicy, but Jarvis hadn’t gotten them at Whole Foods. She had picked them, literally, from a tree on the lot of an apartment building. She is a member of Boston’s League of Urban Canners, which last year entered into a unique partnership with Wellesley, enlisting Brabander and his students to determine whether urban fruits are safe to eat. If you’ve ever snagged an apple off a loaded tree in a park, along the roadway, or on an abandoned property, you can consider yourself an urban forager. Jarvis is a member of Boston’s League of Urban Canners (LUrC), whose members harvest, forage, or glean fruit from various properties both public and private, and eat, can, and preserve them. Members of LUC (League of Urban Canners) collected these apples from the tree at Magazine and Cottage streets. Like serious foragers — or harvesters, as LUrC members prefer to be called — you may have wondered just what you’re eating. Is that apple you found contaminated with lead or other toxins? How does it compare to an apple plucked off the pristine, climate-controlled shelf of a supermarket? The Urban Canners wanted to find out. Last month, the Wellesley researchers announced some unexpected results of their early tests: Not only are they safe, but fruits off city trees — or sidewalks — may be more nutritious than those on store shelves. “We’re excited about these initial results, and the biggest surprise is the micronutrients,” says Brabander. “I think there’s a growing realization that urban environments can support a wide range of agricultural activities, from food projects to community gardens to foraging.” He and his students presented their methodology and preliminary results to the Geological Society of America’s annual meeting in Baltimore. The League of Urban Canners grew determined to get better information on what they were eating 18 months ago, after one of their members, a Cambridge computer programmer named Matthew Schreiner, tested high for blood lead levels. Schreiner estimates he eats at least a pound of foraged fruit a week. “The doctors thought this was one of the rare things that made me different from the general public,” he says. 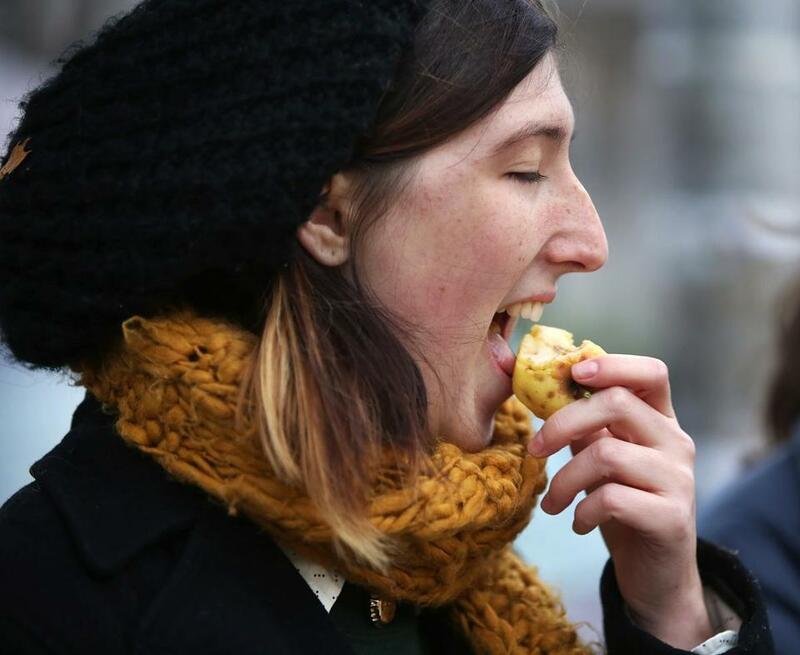 Could the street fruit of Cambridge and Somerville be the culprit? The League was concerned not only for the health of the members, but for the property owners they deal with. In exchange for whatever fruit they get from private properties, the league promises to prune the trees and return at least 10 percent of the fruit, or preserves they make from it, to cooperating owners. Jarvis, one of Schreiner’s fellow harvesters, went online and found Brabander, who since 2003 has been working with the nonprofit Food Project, monitoring lead in urban soil. In the past year, LUrC members have given Brabander and his students 197 foraged food samples to analyze, including berries, cherries, apples, plum, peaches, and pears. Both groups believe it is the only such “citizen-scientist” collaboration in the country. “It’s an example of a successful approach to doing applied science that matters,” says Brabander. So far, he and his students, including Wellesley juniors Ciaran Gallagher and Hannah Oettgen, have analyzed 40 samples for trace elements, both toxins and nutritents. Their results startled many, including themselves. Urban fruit not only doesn’t absorb high levels of lead, it has more than twice the amount of calcium concentrations as commercially grown fruit. The results were the same for washed and peeled fruit as they were for unwashed and unpeeled samples. The primary source of lead in an urban environment is the soil, and leafy vegetables and root vegetables, which grow close to the ground, take up lead in more significant amounts than fruit. “If most of the fruit is high up [on trees], that minimizes the likelihood that re-suspended soil, or soil with lead in it, will reach up there,” Brabander says. As for the street fruit’s high levels of calcium, the explanation isn’t in yet. “We need to do more analysis to see if the pH of the soil is conducive to having more micronutrients,” says Brabander. Wellesley geoscience professor Dan Brabander leads his students checking for contaminants in the fruit. The League of Urban Canners formed about five years ago when Sam Christy, a teacher who lives in Cambridge, started seeing “food go to waste.” The group has 100 active members who meet periodically but mostly do their own foraging. Two years ago, the group harvested more than 4,000 pounds of fruit. Another year, members cidered 800 pounds of apples. “Our goal is only to take fruit that is not being used,” Christy said. Standing in Central Square, league members could describe the neighborhood in terms of its bounty.“There’s a plum tree five blocks from here, and they’re better plums than you can get in a store, from Chile or wherever,” Christy said. 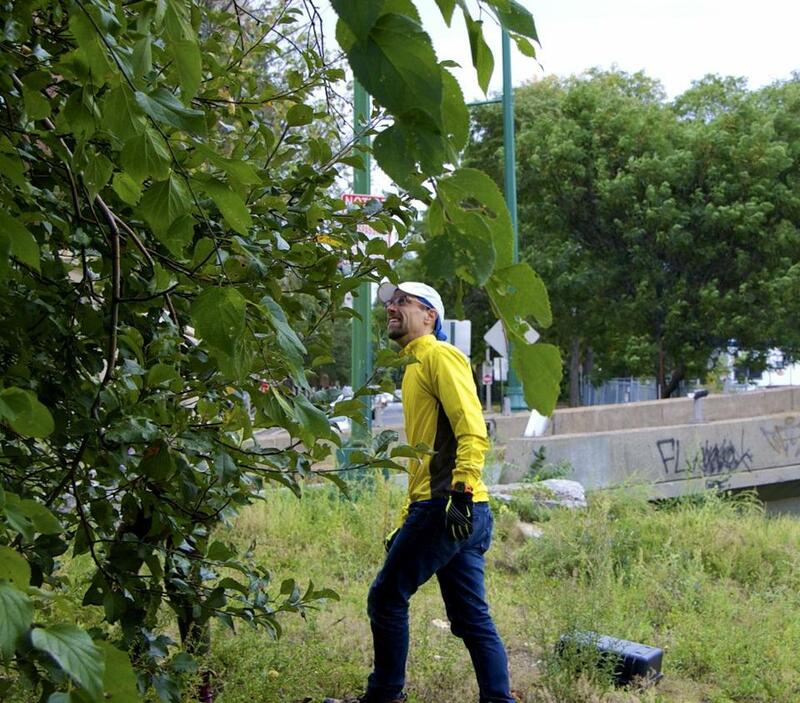 Though they don’t like to publicly disclose the locations of their harvesting grounds, members say there are fruit trees along Storrow Drive — they call it “Storrow Drive Orchard” — and historic houses in Roxbury and Dorchester with old growth trees. It was near the end of the harvest season, and both the Urban Canners and the Wellesley researchers had brought tools of their trade: pole pickers for the foragers and soil analyzers for the scientists. Brabander and his students took some soil samples on the Cambridge church grounds and found that the lead content was more than three times the EPA’s recommended limit. Brabander noted that there’s a long history of lead in urban soil, from house paint and lead in gasoline, which was phased out in 1979. “Unfortunately, once lead gets into the soil it’s very sticky, so it stays,” he said. What all of them now knew was that this was unlikely to have any negative effect on the apples there. Jarvis got out her pole picker and proceeded to shake down the Golden Delicious apple tree on the church grounds; she’d gotten permission from the church, and intended to give some of the apples to its soup kitchen. As the bounty fell into the pole basket and onto the sidewalk, Jarvis offered them to the researchers. They happily bit in. Ciaran Gallagher ate an apple taken from the tree at Magazine and Cottage streets in Cambridge.